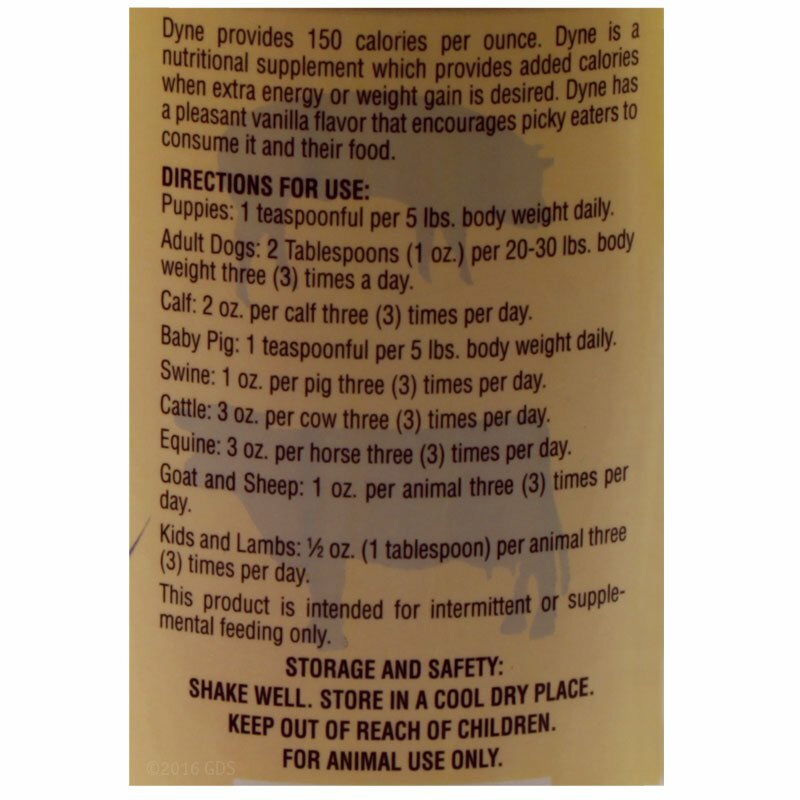 Dyne High Calorie Liquid Dietary Supplement -- 32 oz.. $19.95. "This is an excellent product that I have used for about three years and will continue to use it." Olde English Bulldogges. Family pet. 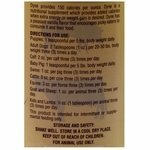 I keep this supplement on hands for new born and young puppies that have problems putting on weight. 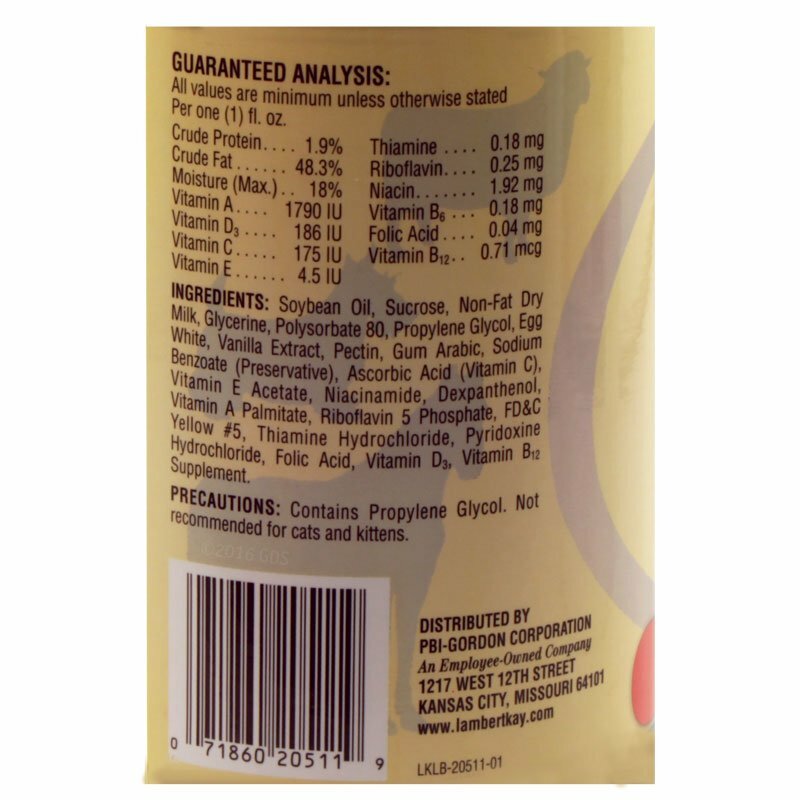 This is an excellent product that I have used for about three years and will continue to use it. We rescued our pup Max from the local shelter, and he was very picky when it came to his food. Dyne has helped him to finish most of his meals. Excellent product. Dogs seem to like taste rather quickly. Product came on time. No issues with service, and I'm very happy with product. Thank you so much! Nice product. 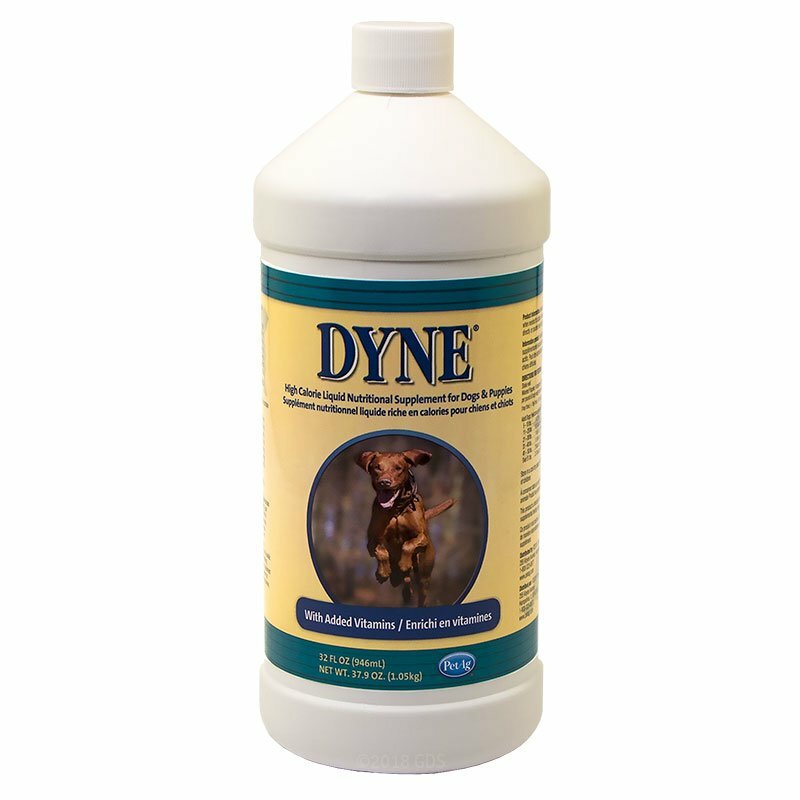 Helps with my dog's high energy needs. 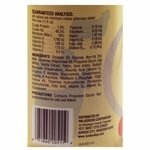 Dyne High Calorie Liquid Dietary Supplement -- 32 oz.